Hilton Worldwide has announced plans with prominent Qatar investors Al-Rayyan Hospitality to develop a magnificent new Hilton Hotels & Resorts property at Salwa Beach in Qatar. The development, the largest of its kind in the Middle East and a first for Qatar, will claim 104-hectares of prime land and coastline in the southwest corner of Qatar for the introduction of an outstanding new resort destination. Located 97 kilometres from the capital Doha, the 362-key Hilton Salwa Beach Resort & Villas, Qatar, will form the centrepiece of the resort’s grand plan and will feature an abundance of amenities extending along both sides of the hotel and the full length of the shoreline earmarked for this distinctive new development. 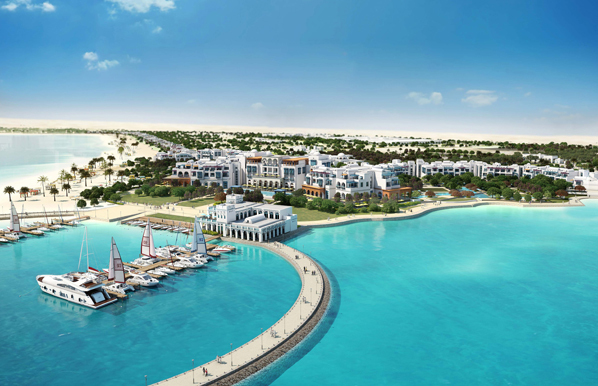 World class facilities already agreed will include a waterpark, a luxury marina and yacht club, a dive centre, cinemas, a wealth of premier retail shopping and numerous restaurants. Rob Palleschi, global head, Hilton Hotels & Resorts said: “Combining the pleasures of an upscale retreat with the brand’s hallmarks of excellence, today’s signing of Hilton Salwa Beach Resort & Villas, Qatar is truly a landmark announcement for the Middle East and for Hilton Hotels & Resorts. Facilities within Hilton Salwa Beach Resort & Villas, Qatar will instinctively match the quality and distinction of the destination itself with a profusion of services and conveniences to satisfy the most discerning guests. The resort has been carefully planned to incorporate 246 deluxe rooms in the main hotel building, including 35 elegant suites, two of which will be 1000+sq mtr presidential suites, and flanked on both sides by two small villages of family villas. Specially designed to capture sweeping views of the Arabian Gulf, one village of 32 one- and two-bedroom suites will reflect authentic Arabic architecture and the second village will comprise 84 larger, more spacious villas of up to five bedrooms. Hilton Salwa Beach Resort & Villas, Qatar will typically boast an impressive range of amenities including a 2800 sq mtr health club & spa, several outdoor pools, meeting and event function space extending to over 3,500 square meters and a comprehensive and imaginative choice of 13 quality restaurants, bars and lounges. Rudi Jagersbacher, president, Hilton Worldwide Middle East & Africa said: “We are extremely proud to introduce this landmark property, the biggest resort hotel of its kind in the region and an outstanding addition to our expanding portfolio.